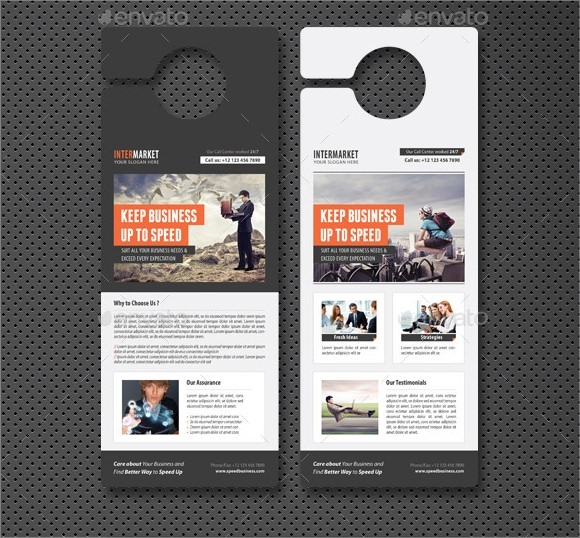 An example of door hanger is found in website template for free and downloadable. The samples serve as a structural design for use or a model in creating a unique door hanger for bank and financial. This is done usually in Microsoft Word, Excel or PDF then allows user to print it. A banking and financial door hanger template is a good thing to have for designing one’s own business. This door hanger template has a key question which may lead to the person reading it to the company which has put the question and their contacts there. The design of the template is business like yet attractive for the readers. This door hanger is printable and transparent. In this door hanger you can write your message about banking with the contacts of your bank. When people hang these, the information about banking that you want to convey will be conveyed to the onlookers. This template is design in a way with the company name at the top of the hanger, and in the middle there is a space left for your message, or the logo of your company. At the bottom you can put your message or tagline. 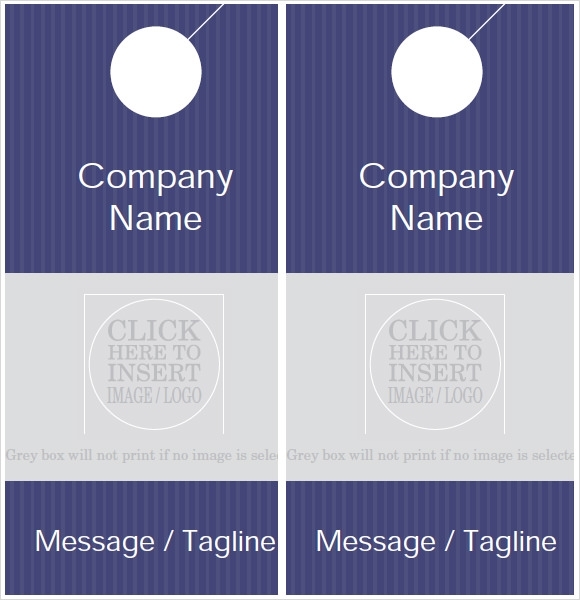 This is a template pack for door hanger which lets you design it according to your requirements and choice. There are different backgrounds and you need to choose one. You can then decide upon the writing and the design. Moreover, the banking and financial door hangers can be circulated to various places which will mean the company promotion reaches to a number of people without using too much money. The door hangers are easy to carry and once you put them on the doors your job is done. Who Can Use The Banking And Financial Door Hanger Templates? Any company or financial unit can use the banking and financial door hanger templates for their promotion. In order to use these door hangers, you will need a definite address, or website address or contact number or email id of a person. 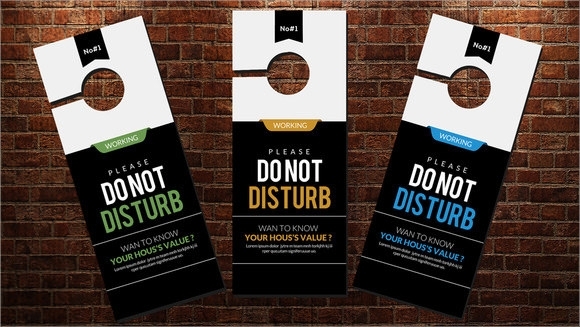 If you have an agency which deals with selling and buying of properties, you can use these door hangers too. Also these door hangers can be used in libraries, hotels, offices etc. with permission. You just need to check that the companies which you are advertising do not clash with the places where you are using them. Some of these templates are printable, with a fixed design and some lets you be creative and choose your own design. All you have to do is put your company logo and catch lines, and get them printed in a color of your choice. Then you door hangers are ready to hang. There are a number of different types of door hangers which are used, of which the most common being the financial or banking door hangers. It is a good way to promote the company. There are a number of templates available in the net from which you can make useful door hangers.